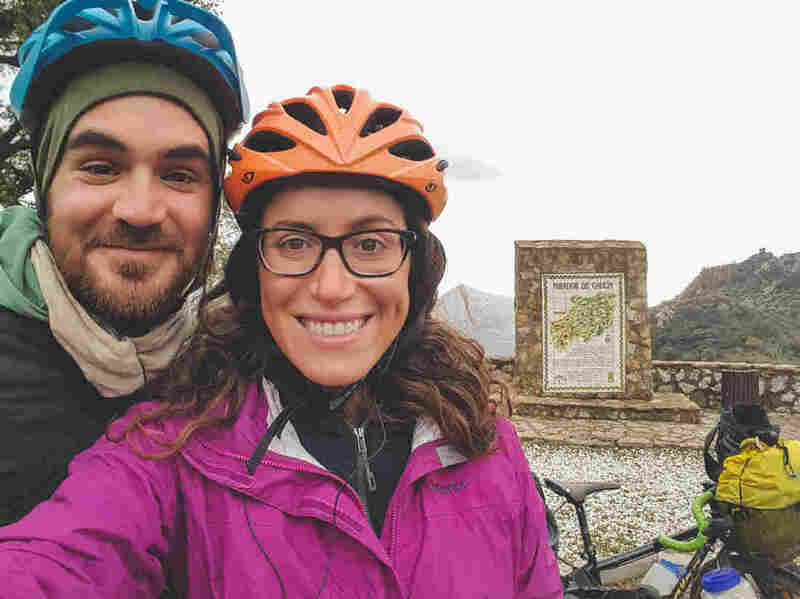 A young [and apparently stupid leftist] American couple quit their jobs to bike across central Asia. The couple, Jay Austin and Lauren Geoghegan, were posting about their adventures online. Jay wrote that evil is a make-believe concept in one of his last posts. The couple wanted to share their openheartedness with all of the people they met on their journey. 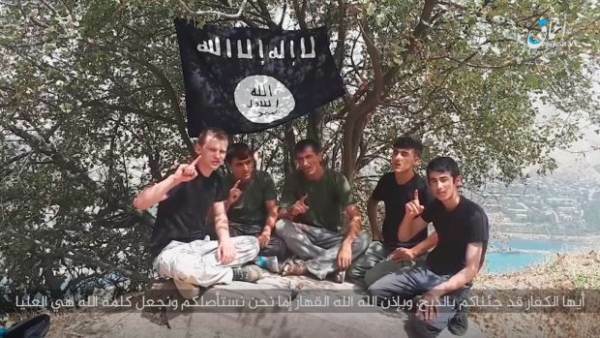 In Tajikistan they were murdered by ISIS. Both cyclists were found with several knife wounds. My only question is this: can we do a GoFundMe thing to arrange a large group tour for more leftists?
" My only question is this: can we do a GoFundMe thing to arrange a large group tour for more leftists? " That would be a good use of funds. I would donate to that !! Especially encourage demonrats to go. I read about this story on another site. General consensus was: " Ef em. They were too stupid to live, two demonrats / snow flakes that will vote no more ! " No one there showed any sympathy for the idiots. People there thought it was a cleansing of the gene pool. Tuff crowd. It's sort of like that guy who wanted to prove you could be friends with bears only to be mauled to death by them. People are not naturally good. You have to be taught to be good. I read up more on this. Nothing in their reports I've seen indicate their overall political leanings. His positive philosophy of people in general is admirable, in my view. This couple was just tired of the corporate rat race and wanted to experience the world free of those constraints, as people sometimes do, and I can respect and even admire that. They were aware of the dangers in that part of the world and were in fact detouring around Afghanistan because of the danger there. The attack that killed them is billed as the first of its kind in Tajikistan against tourists. Two other tourists were killed with them. Obviously in hindsight they shouldn't have been there. But people die every day being in places that, in hindsight, they should not have been. At least they died doing something they loved, which most people can't lay claim to. The barrels of the shotgun never wavered in the old man's hands, as he quietly said, "Son, have you ever licked a mule's behind?" The gunslinger swallowed hard and said, "No sir..... but.... I've always wanted to." " An old prospector shuffled into town leading a tired old mule. . . . "
Thanks, very funny story !! This couple was just tired of the corporate rat race and wanted to experience the world free of those constraints, as people sometimes do, and I can respect and even admire that. How is that possible when they never had corporate jobs? They worked for political organizations in DC. That sounds corporate enough to me. How did I miss this story??! The Left -- always willing to portray America's conservatives and Christians as "Intolerant", but bending over backwards to befriend proven barbarians and cold-blooded murderers. Jay Austin was vegan and worked for the US Gummint Depar of HUD. Lauren Geoghegan ([Baaaah! ]...evil is a make-believe concept) was a vegetarian who worked in the Georgetown University admissions office [rejecting conservative applicants]. There are literally MILLIONS of these pods living in America. Like these two moonbats, many of them work within the US Gummint and at Universities. "We strongly condemn the cruelty of the attackers and recognize that they in no way represent the kindness and hospitality of the Tajik people." ~ The U.S. Embassy in Dushanbe, via Facebook. Shouldn't that be, "The barbarianism of the mass murderers"?? A BIT understated ya think?? See how the language has been subverted by both ISIS reps and the Mainstream Media? This was barbarianism and cold-blooded MASS MURDER. By a Muzzie groups who poses ALL the time with their blood victims remains (heads, torsos, etc).